A. Borrelly discovered asteroid #146 Lucina. A. Borrelly discovered asteroid #268 Adorea. S. Belyavskij discovered asteroid #995 Sternberga. The first successful transpacific flight, from the US to Australia, by two Americans and two Australians in a Fokker trimotor aircraft, landed in Brisbane, Austrailia, having crossed the Pacific from Oakland, California. Born, Aleksandr Aleksandrovich Skvortsov Sr. (at Tambov, Tambov Oblast, Russian SFSR), Soviet cosmonaut candidate (Air Force Group 3 - 1965), father of cosmonaut Aleksandr Skvortsov, Jr.
Construction of NASA's Saturn I Launch Complex 34 was started at Cape Canaveral, Florida. NASA flew the first test mission of the X-15, an unpowered flight piloted by Scott Crossfield with a maximum speed of 840 kph (Mach 0.79), dropped from NASA's B-52 carrier aircraft at an altitude of 11.445 km. 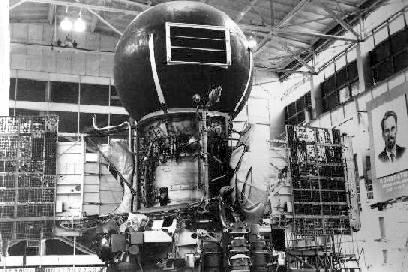 USSR launched Luna 6 toward the Moon, but missed by 159,612.8 km after the spacecraft's engine failed to shut down following a midcourse correction two days into the flight. N. Chernykh discovered asteroid #3230. USSR launched Venera 9, the first spacecraft to orbit Venus and to return images from Venus' surface. McDonnell-Douglas launched a DC-XA test mission which reached new altitude (3140 m) and duration (142 second flight) records after a 26-hour rapid turnaround demostration. NASA's STS 91 (Discovery) undocked from the Mir space station, bringing to a close Phase 1 of the International Space Station program. A transit of Venus (between Earth & Sun) was observed by astronomers, amateurs and the news organizations across the world, the first Venus transit after the invention of broadcast media.